Facebook has re-launched its free basic Internet service, Internet.org, as FreeBasics.com, across Asia, Africa and Latin America. For the uninitiated, Internet.org is a platform for providing various Internet services for free to users. 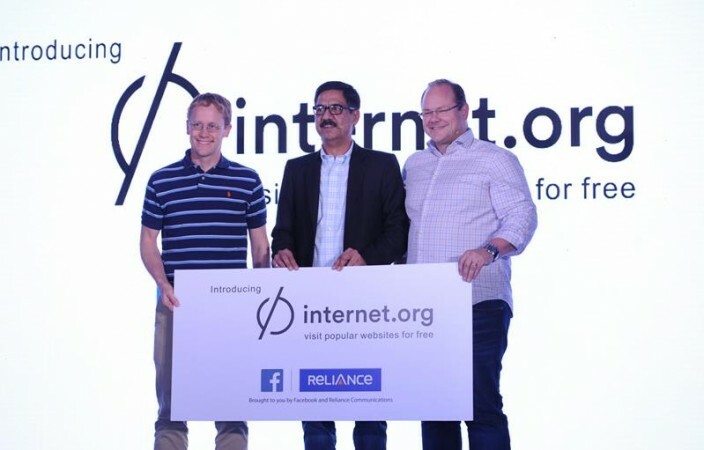 For the time being, only Reliance SIM users can avail of this service by typing Internet.org on their smartphone browser; other network providers like Airtel and Vodafone might come up with a similar service in due course of time. The existing Android app will also be renamed once the user updates the app. The mobile web version, which will redirect from the previous URL, can be accessed at FreeBasics.com. Apart from accessing Facebook, users can browse through wikihow, Wikipedia, socialblood, ESPN Cricinfo, Accuweather, BBC News, Bing search engine, dictionary.com and a lot more. The program is an effort to make an impact on people's lives by providing free health, education, and information on business and economics. For instance, SmartBusiness, a website will enable people learn how to launch and run a business. BabyCenter and MAMA both reach millions of people around the globe with vital health information for pregnancy and parenting, including 3.4 million people, through Internet.org's free basics services alone. With Free Basics, Internet.org is making it safer for people to connect to the websites and services they care about, by encrypting information wherever possible. Recently, Facebook announced support for services using HTTPS in the Free Basics Android app, and starting today, it will also support HTTPS services on the web version. Even if the service you access runs only on HTTP, Facebook will encrypt the information between Facebook servers and any device that supports HTTPS.